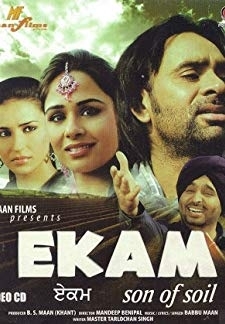 © 2018 Scratchu.com Menhdi Wale Hath | Gavie Chahal, Prabhleen Sandhu, Guggu Gill, Manjeet Kular, Goldie Sumal, Saniya Pannu, Gurkirtan, Rupinder Rupi, Anita Shabdeesh, Sukhi Nijjer, Rana Ranbir, B.N. 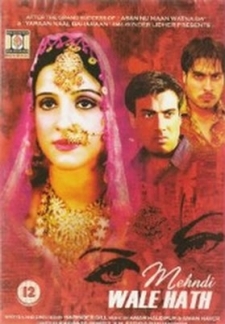 Sharma, Mannat Singh - Menhdi Wale Hath (2006) | Punjabi Movie | 8.0/10 | Synopsis : The story of this Punjabi Film moves around an educated middle class familys boy Gaivi and his mother who thinks his son is a blank cheque and wants him to get married to a rich girl who can bring wealth to her. On the other hand Massa, who is always involved in creating problems in others lives, wants Gaivi to marry his daughter...... Watch Online!! !